Karnataka Chief Minister Siddaramaiah today urged the Union Government to announce suitable concessions for the NRI and PIO community in the general budget, in the backdrop of recent global developments. "The event is being held in the backdrop of many a far-reaching change across the world. 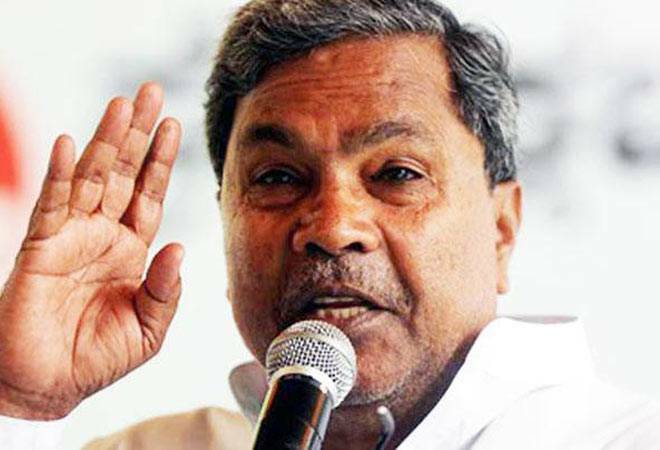 Particularly, the recent changes in the United States of America and the United Kingdom raise questions on effective movement of skilled workers across borders," Siddaramaiah said. "It would not be out of place to urge the Union Government, the Finance Ministry in particular, to be conscious of these changes and announce suitable concessions for the NRI and PIO Community in the General Budget to be presented shortly," he said. Siddaramaih was speaking at the inauguration of Pravasi Bharatiya Divas Convention here that was attended by Prime Minister Narendra Modi, Portugal Prime Minister Antonio Costa and Suriname Vice President Michael Ashwin Adhin,among others. He also drew the Prime Minister's attention to the resolutions passed in the Global Convention of the Global Organization of People of Indian Origin (GOPIO), held in Bengaluru recently, seeking extension of time till December 30, 2017, for NRIs and PIO to exchange and deposit high denomination specified bank notes in Reserve Bank of India or State Bank of India. Pitching Karnataka as the investment destination by listing various measures taken by his government, the Chief Minister referred to the NRI policy brought out by the state. "I am glad to share with you that we have announced the NRI Policy of Karnataka, just two days ago, with a vision to play a catalytic role in achieving sustainable linkages in the globe, so that, a progressive, prosperous, robust and vibrant Karnataka is built," he said.